Invercargill is New Zealand’s southernmost city at the base of the South Island, favourably placed on the Southern Scenic Route. 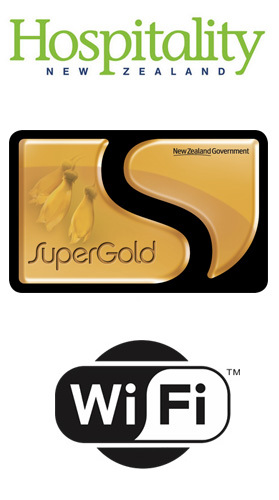 Invercargill is the centre point to access Southland. From the beautiful coastline of New Zealand and via the Southern Scenic Route to the awe-inspiring views of Fiordland`s Milford Sound and Doubtful Sound. 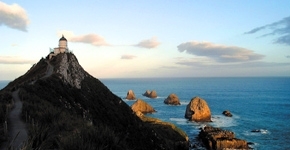 From Invercargill you can easily explore Southland visiting such places as Stewart Island, New Zealand`s new National Park, the Catlins, and the Southern Scenic Route, New Zealand’s most diverse touring route. Southland is known worldwide for its ingenuity, spirit and friendly hospitality. The spectacular scenery of the Catlins amid native forests, fringed by high cliffs and golden beaches and stunning water falls – the McLean Falls and the Purakaunui Falls. At Curio Bay watch the outgoing tide reveal a 180 million year old Jurassic forest – one of only three such accessible fossil forests in the world. Another low tide attraction is the Cathredral Caves, etched by the sea for centuries. Visit Stewart Island (Rakiura) to enjoy the land and seascapes, view the wildlife, walk, boat, fish, dive, kayak, hunt or just relax. There are flights leaving from Invercargill or you can catch the ferry from Bluff. 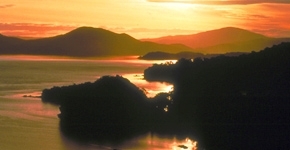 Visit the Stewart Island website. A popular activity is the Bluff lookout on the summit of Bluff Hill. It has a great view of the Southland plains and mountains, and also Stewart Island on a clear day. There are also a number of walks in Bluff including the Greenpoint walkway past the ship graveyard or around Stirling Point, the site of our international signpost. Also the home of our Bluff Oysters and Oyster Festival.